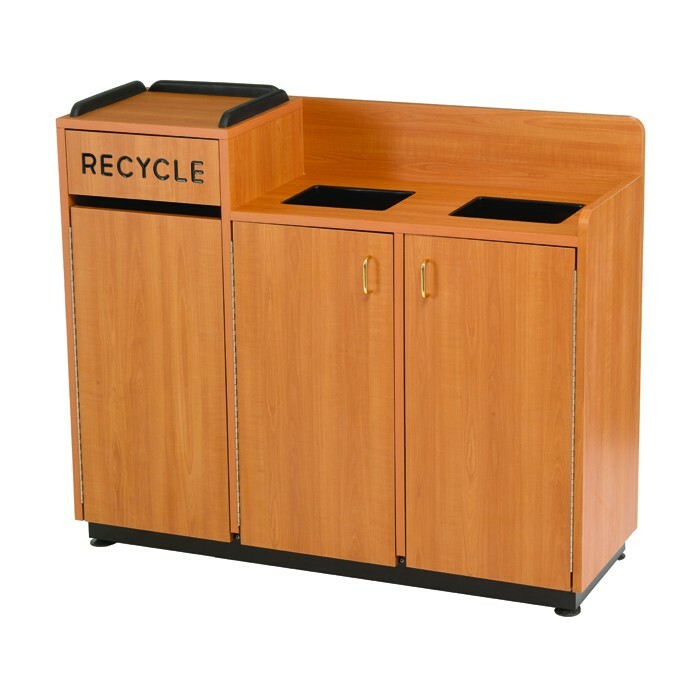 Conveniently separate your trash from your recycling with our three stream unit. 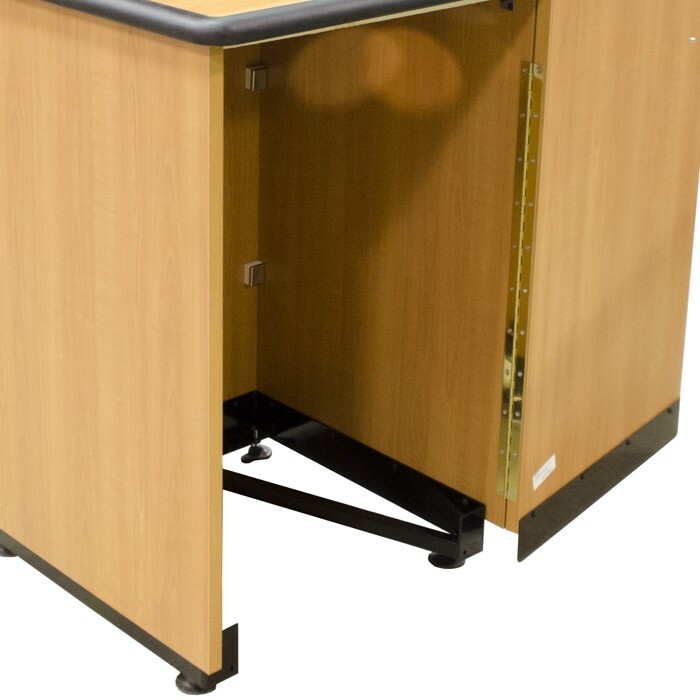 Our open base allows easy removal of trash and recycling. Includes 3 each 23 gallon liners with casters.